Confession: I hate zucchini. But I’ve found a way to make it delicious: layered and raw. 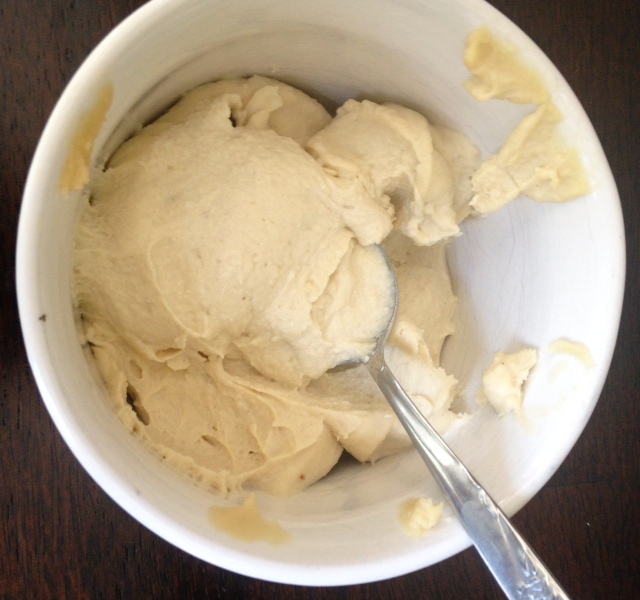 The thick dairy-free cashew cream doesn’t hurt either. How is it that the simplest ingredients combine to make the most impressive dishes? That’s what we have on our hands here. 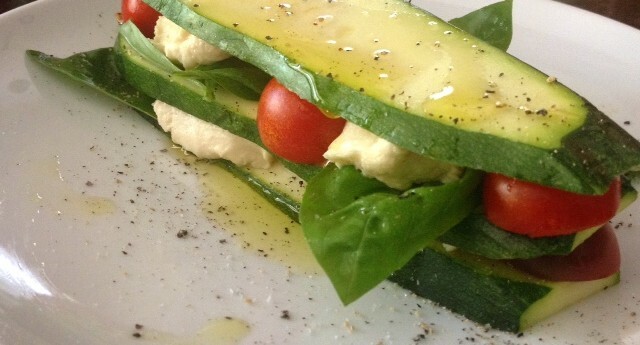 A tasty and eye-appealing lunch or first course, perfect for summer, entirely raw and vegan. Simple enough for a lunch-for-one yet fancy enough for guests. Once you have the cashew cream made (best to start the day ahead), assembly for this raw zucchini, tomato and cashew cream stack happens in no time. Drain and rinse cashews. Transfer to a food processor and blend with water until mixture is becoming smooth. Add remaining ingredients, apart from the salt, and continue processing until smooth. You will need to scrape down the sides of the bowl from time to time. Taste (you’ll be surprised how sweet it is at first) and add salt in small measurements until happy. You can eat this straightaway, but for the flavors to fully develop allow to sit at room temperature, covered, for 24 hours. Refrigerate afterwards. To assemble the stacks: lay down one zucchini slice on a plate and drizzle it with a small amount of oil before sprinkling it with a tiny amount of salt and a good dose of black pepper. You’ll repeat this seasoning process for each zucchini layer. 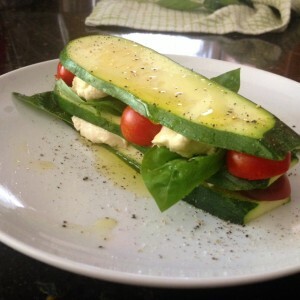 Arrange a few basil leaves over the zucchini, making them stick out over the edge. Plop two small scoops of the cashew cream on the slice. 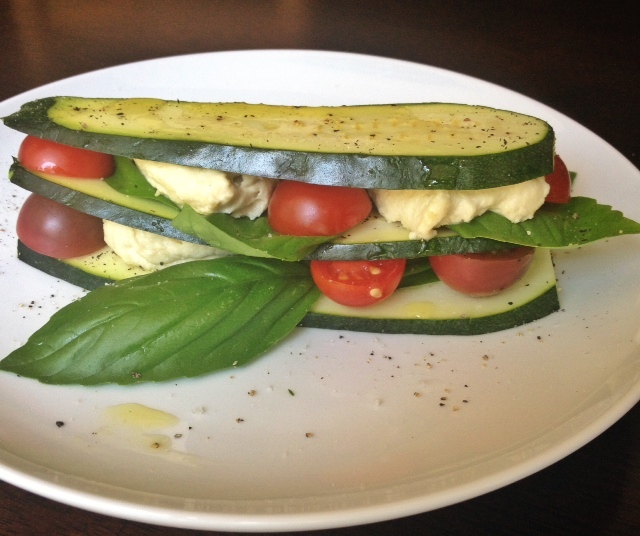 Place a few of the halved tomatoes among the cashew cream, then top with the next zucchini layer. Repeat the entire process once more. You’ll end with a seasoned zucchini lid. You'll have plenty of leftover cashew cream. Simply double the zucchini, tomato and basil quantities to make more stacks.